The VED system changed on 1 April 2017 and, for many, it makes driving more expensive. The majority of car buyers have to pay £140 a year, regardless of how eco-friendly their cars are, plus a first year rate calculated on CO2 emissions. Owners of cars with a list price of £40,000 or more will also pay an additional surcharge of £310 for five years and zero emissions vehicles still qualify for free VED. Effectively this means almost every car bought from 2017 onwards will cost more to tax – but there are a select few vehicles that will be cheaper to run under the new rules. Perhaps alarmingly, they are all high-emission vehicles that are anything but eco-friendly. We’ve listed 10 cars that win under the new rules. A performance bargain, the Mustang has a proper V8 muscle car engine with more than 400PS. It’s also a stunning looker and costs just £35,745. We say ‘just’ like that much money is pocket change – but compared to other cars with similar performance and road presence the Mustang is a bit of a bargain. The new tax rules are very kind to it too. Its V8 engine isn’t eco-friendly, so under the emissions-based system the annual VED bill is £515; however from April 2017, when the annual rate is based on list price, you'll save £620 over five years. 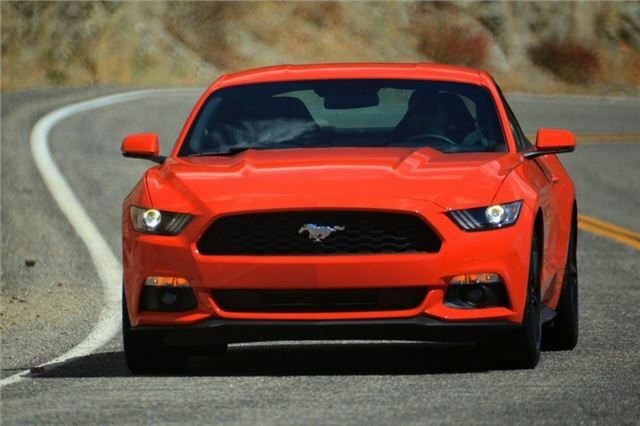 This means the Mustang will cost the same to tax as a Ford Fiesta (after year one). Does that make sense? Probably not. But Ford will be pleased. And what do we get for our money? bad roads full of holes and getting worse.Every pound gathered from VED payments should be spent on the roads. Would it not be sensible to scrap the whole vehicle tax system and simply add a few pence more to fuel? That way, only those actually using the roads heavily would be taxed heavily with no administration costs. And personally I'd completely ban highly polluting cars in the first place; it doesn't matter how much they are taxed in the long run; the cost to the environment is too high. Typical of the Conservative Party. They make it cheaper for the owners of muscle cars and SUVs who are much more likely to vote Conservative. Why not tax heavily the use of personalised number plates? Typical ridiculous nonsense thought up by politicians (not necessarily just the Conservatives), but this one shows their true intentions for all to see - i.e. this latest stupid idea blatantly shows they are using this road tax change to get more money out of decent law-abiding people as the above examples show that owners of the worst polluting cars are actually better off!!!! If they are going to constantly use the environment as an excuse to tax people, at least make sure it actually helps the environment!!!! I wish these overpaid idiots, that all (every party) vote themselves huge pay increases every year, despite their complete incompetence at every thing they do, and probably part-funded from this increase in road tax, would realise that some people need cars to travel to their demanding jobs because public transport is so rubbish (Southern Trains anyone?!). But by constantly punishing those poor hard-working motoring commuters, they are also risking damage to the economy during uncertain times. There needs to be political reform to rid ourselves of these selfish, incompetent parasites - and they should be loyal to the voting public, not their little 'gangs' (i.e. political parties). Politicians or at least government is too influenced by pressure or lobby groups. They appear to be incapable of realising such groups have an axe to grind so the evidence they present is often biased.